We are seeking a new piano for our sanctuary and have found a great opportunity. 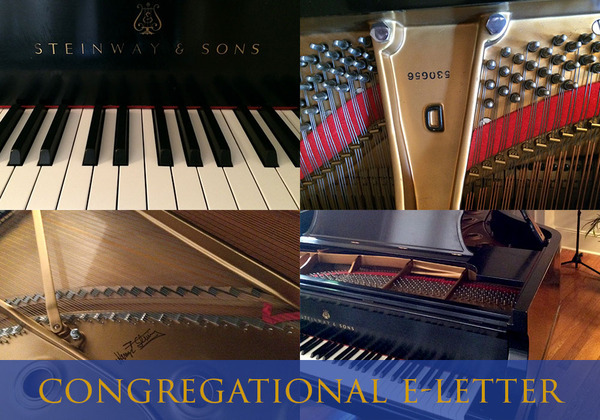 In our May 25 Congregational E-letter we shared that our music staff had begun searching the tri-state area for a used Steinway concert grand piano in preparation for us to claim full use of our building in the fall. We are elated to share that they have found the perfect piano for us: a gently used 1994 Steinway D concert grand piano ideally suited for the size of our sanctuary, less than 1/3 of the cost of a new piano, in excellent condition--and what's more, it's been residing in the home of a Lutheran pastor! He is very happy that his piano will enliven worship and concerts in our church for many years to come. Tonight we launch the Piano Fund campaign with a special Music Mondays concert at 7:30pm. The concert will feature three musicians in the Advent community: Julie Bruskin with the Claremont Trio, Deanna Witkowski with the Deanna Witkowski Trio, and Aaron Wunsch on piano. We invite you to enjoy the music tonight and learn more about our new piano and the fund. As with Music Mondays the concert will have FREE Admission. But there are also VIP Tickets for $100 which will provide reserved seating in the front of the sanctuary, champagne, and a gift bag of the performers' CDs. To reserve VIP tickets email us at admin@adventnyc.org or call us at 212-665-2504. We are now accepting donations of all sizes to the Piano Fund in support of this investment. Your contribution, together with those of other Advent members, Music Mondays fans, and foundation funders will enable us to achieve this goal. We all look forward to dedicating and celebrating our new piano, which will last long into the future and offers a legacy for future generations. Hear from the leaders and volunteers of our Community Lunch and Food Pantry programs in worship and at our 10:10am Adult Conversation this Sunday. Our feeding ministries provide assistance to hundreds of people in our neighborhood experiencing food insecurity. Funding for these ministries is anchored by donations from members of Advent and the community. We receive a few community grants, but they have been decreasing each year. This Sunday, our leaders and volunteers from Community Lunch and the Food Pantry will be at worship and our 10:10am Adult Conversation to share more with you about their ministry, and ask for your support. All Mission of the Month donations in June will go to our Feeding Ministries. Hear from a guest at Community Lunch why this ministry is so important to her and others in our community. Stories from the Old Testament rarely heard in worship--until now. The creation story, the (almost) sacrifice of Isaac, the crossing of the Red Sea, Noah and the Great Flood, Jonah and the Whale . 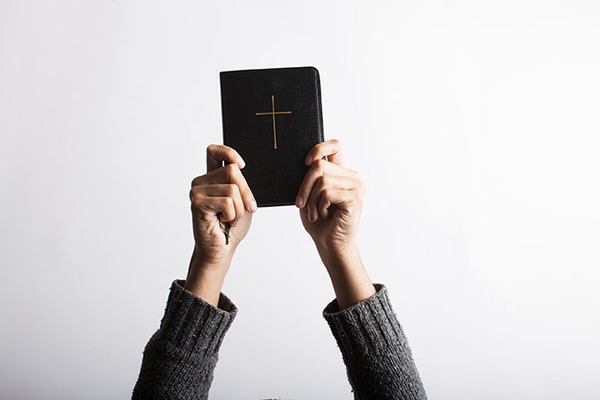 . . have you ever noticed that these Old Testament stories--standards in children's faith education--are really never part of the Sunday morning readings or sermons in worship? We thought it would be interesting to hear these Old Testament salvation stories on Sundays. This summer, each of our preachers will focus on an Old Testament story traditionally used at the beginning of the Easter Vigil worship service -- starting with Pastor Ann on the Creation Story this Sunday. Join us in worship for these unique sermons. If you're out of town, follow along on our YouTube channel. Don't miss this boundary-breaking new way to connect and worship at Advent during the summer. Register today. Summer Suppers is our new inter-generational, bilingual summer program designed to provide worship, learning, and community to our diverse congregation and neighborhood on Wednesday evenings in July and August. We invite you, along with friends and family, to join us for dinner and worship with people of all ages, speaking both English and Spanish, followed by Bible study in groups ranging from small children to adults. Each week's theme will follow the summer preaching series on stories from the Old Testament (see the above article). We begin Summer Suppers on Wednesday, July 6. We hope you will join us! Even if you can’t make all six Wednesdays, we welcome you to register for the evenings you are able to attend. Program fees are minimal and scholarships are available, but all participants are asked to register so we know how to prepare. We have 3 more weeks to reach our goal! And we are so close. We have reached $45,569 of our $54,000 goal. Can you help us make it the rest of the way there? Gospel Text | Luke 8:26–39: Jesus cures a demon-possessed man.